Addiction recovery facilities often setup a “fitness center” as an after thought, as obligatory in order to serve the perception of their client or to compete with a competitor if only for appearances. I suggest that a fitness center can be a revenue center for addiction recovery that the industry fails to leverage, mostly for a lack of vision. Indeed a challenge for many addiction recovery facilities is retention of a client for the full recommended duration as prescribed by a medical or psychological profession. I postulate that just having free-weights or a few exercise machines is inadequate for the goal of a client fully completing the prescribed duration. As an expert in personal training and working with a variety of individual clients, I understand how to motivate individuals to engage fitness and fitness facilities. In turn, I suggest that if recovery centers consider. Best practices would include educating fitness staff with continuing education and certification by accredited organizations. The challenge with recovery facilities, is that often the residents have very little life experience with fitness. Staff must be able relate mindfully to the unique needs of those residents who suffer from addiction and or trauma. Addiction recovery centers in general do not have trained fitness staff on hand. The risk of a resident misusing equipment is precariously high. Therefore, a recovery facility has financial exposure from accidents. 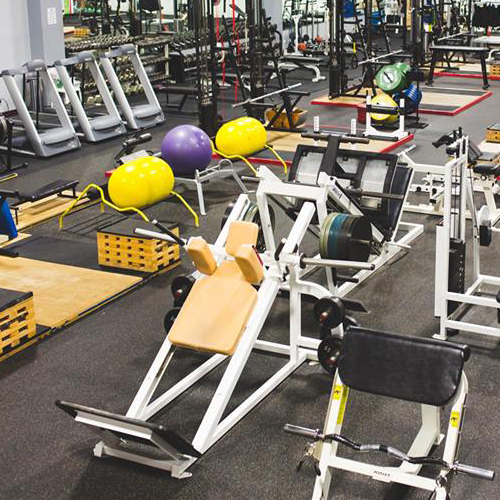 While all accidents are not avoidable, minimizing the exposure maybe accomplished by mindfully selecting appropriate equipment for a recovery center’s fitness facility.